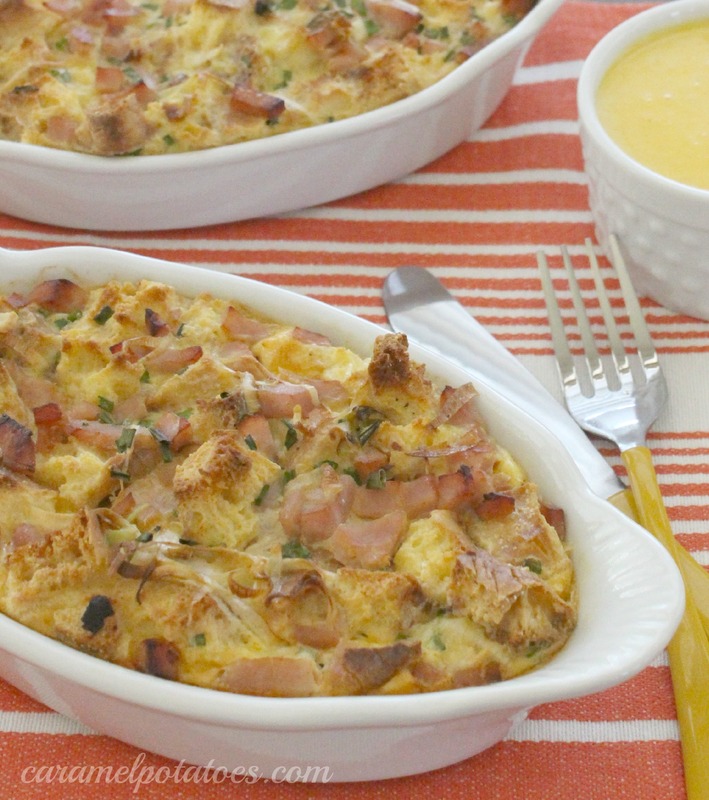 This casserole is perfect for breakfast, brunch, or even dinner; make it in a 9- by 13-inch pan, or use small baking dishes for individual servings. Also, since you are going to have some egg whites left over from the Hollandaise Sauce, we recommend Vanilla Bean Angel Food Cake or a Blonde Texas Sheet Cake – both would be perfect with the casserole on a brunch buffet! Heat oven to 425 degrees F. Coat a 9- by 13-inch baking dish (or eight 16-ounce baking dishes) with oil. Place the English muffin pieces on a large rimmed baking sheet and bake until lightly golden brown, 12 to 15 minutes; transfer to the prepared baking dish (or dishes). Reduce the oven to 350 degrees F.
Meanwhile, heat the oil in a large skillet over medium heat. Add the leek and cook, stirring occasionally, for 4 minutes. Increase the heat to medium-high, add the bacon and cook, stirring occasionally, until beginning to brown, 4 to 5 minutes more. Spoon the mixture over the English muffins. 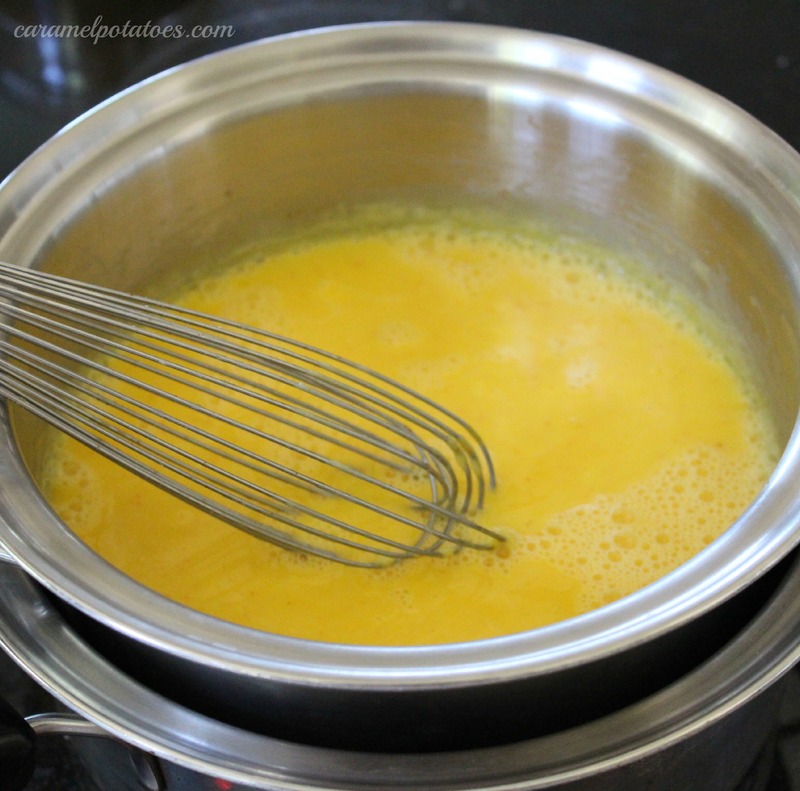 In a large bowl, whisk together the whole eggs, milk, dry mustard, chives, 1 1/2 cups cream, and 1/2 teaspoon cayenne, 1/2 teaspoon salt, and pepper to taste. Pour the egg mixture over the leek-bacon mixture. Bake until casserole is puffed, golden brown and just set, 40 to 45 minutes (about 25- 30 minutes for individual dishes, depends on the depth of the dish, watch until they are set up). Reduce heat to low. Still whisking constantly, gradually add the melted butter and serve immediately with your hot casserole. This looks so delicious! 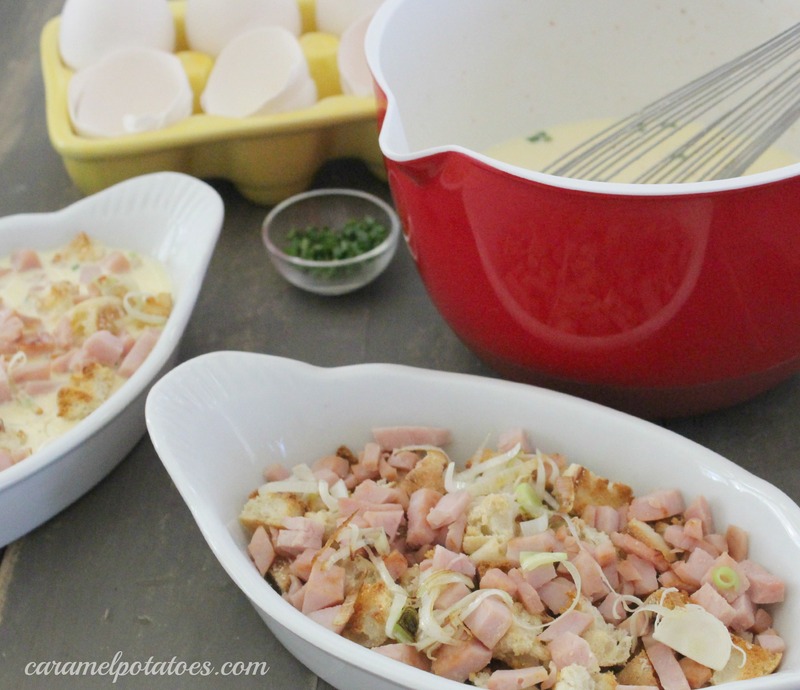 What a great casserole idea! 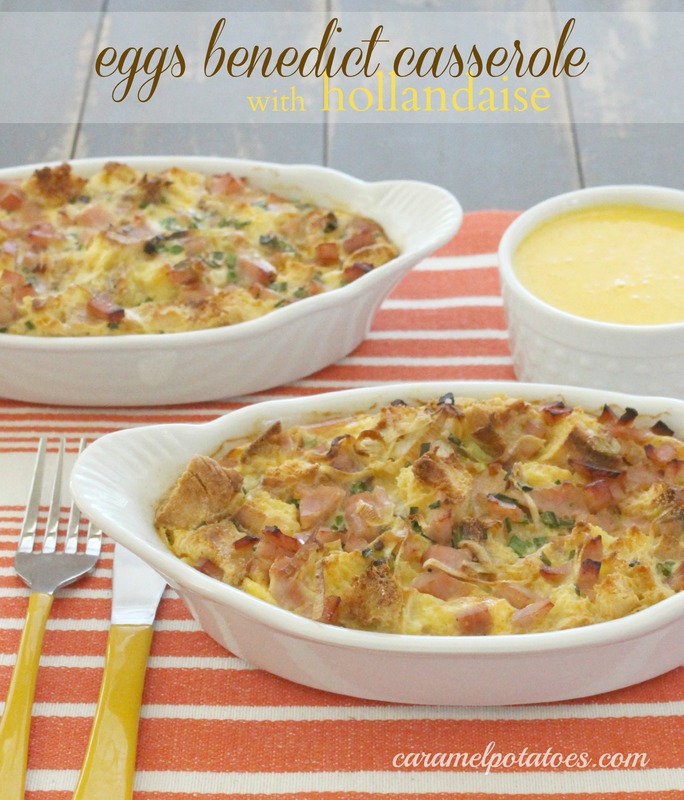 Hollandaise sauce is my absolute favorite, and this sounds amazing!!!! We always have eggs benedict at Christmas time. I love the idea of the casserole. It makes it much easier than poaching all those eggs. Thanks for sharing on Thursdays Treasures. My husband loves eggs benedict! I bet this is easier to make into a casserole. 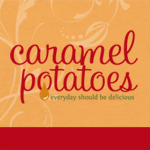 🙂 Thanks for sharing at Sweet & Savory Saturdays #10!